Arlington Business Park in Theale won the Business Park Innovation Award at the fifth annual Thames Valley Property Awards. APAM and its joint venture partner Patron Capital won the award for transforming one of the oldest established business parks in the Thames Valley into a sustainable 21st century work environment with modern amenities and a vibrant park life in stunning surroundings. New tenant amenities have been designed, including a café, gym, sports studio, convenience retail shop and meeting facilities. 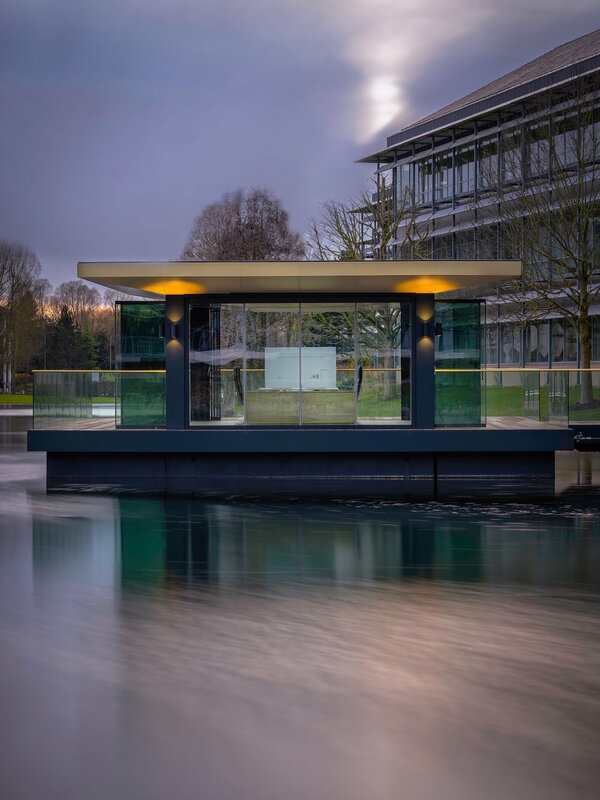 A new Glass Floating Pavilion on the heart of the lake, the only one of its kind at a UK business park, has also recently completed, providing tenants with a multi-functional, flexible space in the centre of the park. Chris Taylor, founding shareholder. “Winning this award for Arlington Business Park is fantastic recognition of all the hard work that has gone into transforming a previously tired asset into a state-of-the-art example of a modern business park”.